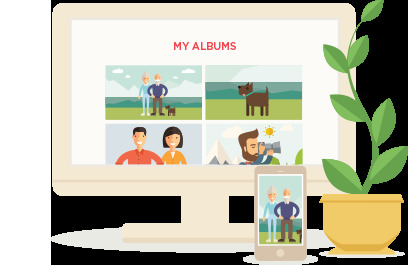 Granting Photomyne’s photo scanner app access or permission to your device’s photos folder, storage and camera makes it possible to enjoy the app to the fullest. Here’s how to grant these accesses and permissions on your phone. 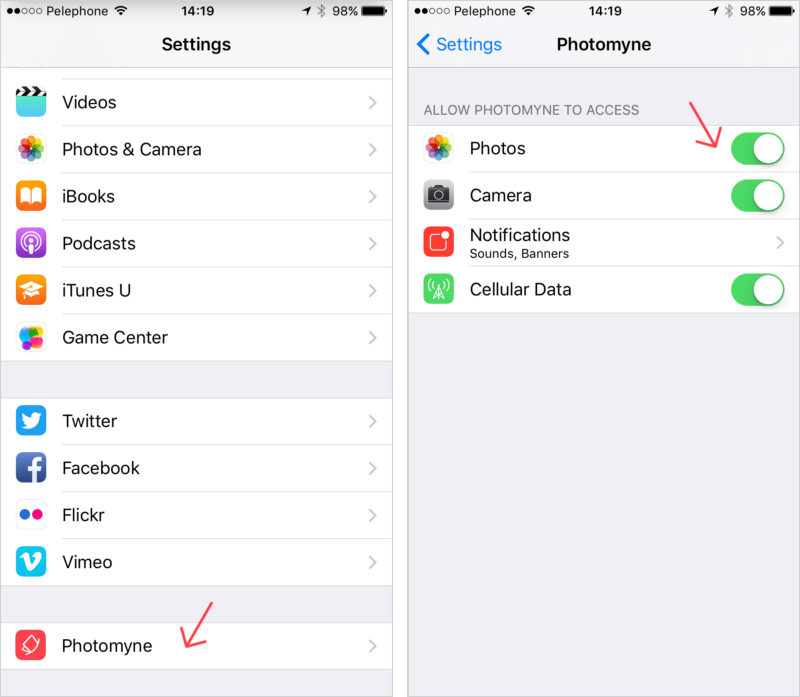 Open the iPhone’s Settings screen > Scroll down the app list and choose Photomyne. Slide the “Camera” toggle from white to green to allow access to camera. Slide the “Photos” toggle from white to green to allow access to your photo library. Left: Choose Photomyne in your iPhone Setting screen. Right: Slide the toggle from white to green to turn it ON. 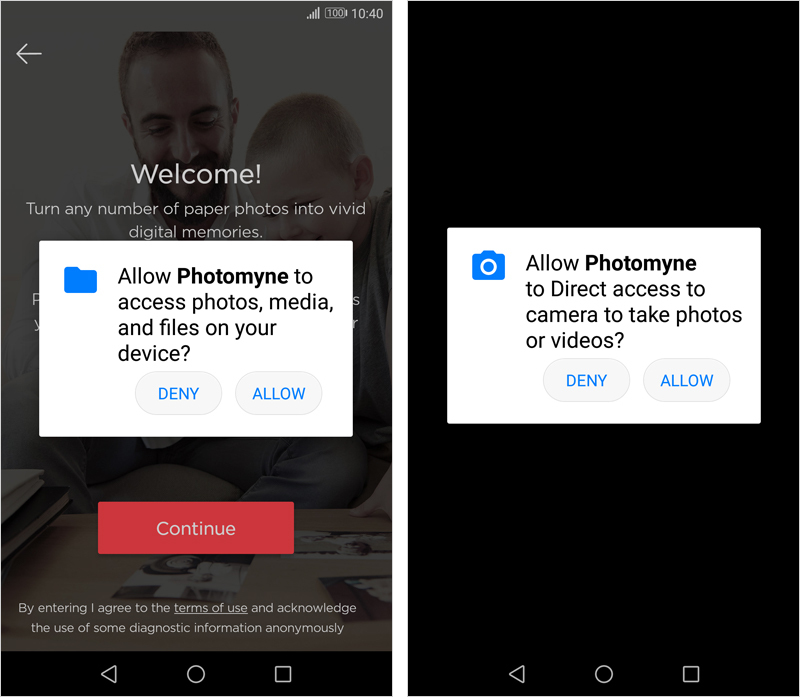 Photomyne’s photo scanner app on Android requires two permissions in order to perform properly: Storage and Camera permissions. Storage permission: When using Photomyne’s photo scanner app for the first time, it will request permission to access your device’s storage. This is to enable photo saving on your device (within the app), and to ensure all the photos you scanned and will scan in the future remain accessible on your device (storage usage permission). Camera permission: Once you tap the Scan button in the app for the first time, the app will request permission to access your phone’s camera. The app won’t be able to scan any photos unless you grant it access (therefore we strongly recommend that you select Allow). Choosing the Deny option for permissions on Android will affect the performance of the Photomyne app on your device.